Renault has found it flattering that Red Bull did not allow Daniel Ricciardo to conduct testing with his new F1 team at the end of 2018. Renault believes the fact Red Bull did not allow Daniel Ricciardo to test with his new Formula 1 team in Abu Dhabi shows “people are afraid of us”. 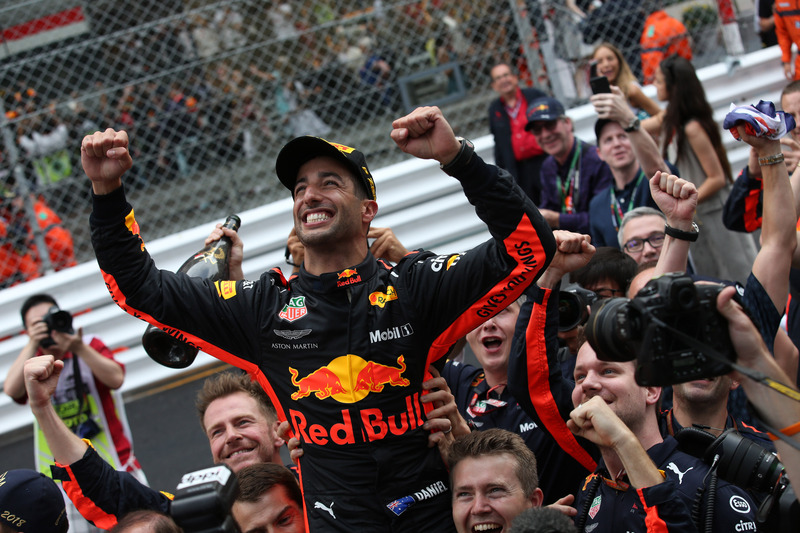 The French manufacturer had hoped to run new signing Ricciardo at the end-of-season test in Abu Dhabi but was refused permission by Red Bull, following the Australian's shock decision to leave the quadruple world champions. It meant seven-time grand prix winner Ricciardo was the only driver other than new Toro Rosso recruit Alexander Albon not to try out his new team’s 2018 challenger, limiting him to simulator work until his official on-track debut with Renault takes place during pre-season testing next month. When asked what kind of impact Ricciardo has already had on the Enstone squad since his arrival, Renault F1 team executive director Marcin Budkowski said: “There’s always things that you learn from interaction with a driver. “He’s been in the simulator, he’s been working with the engineers. It’s difficult when he hasn’t driven the car and we would have loved him to have driven the car in Abu Dhabi but we couldn’t make that happen. “We’re disappointed that we couldn’t get his feedback on last year’s car, because it would have been very useful to us. Budkowski said Ricciardo’s move highlights his belief in Renault’s vision of returning to winning ways in the coming years, having improved year-on-year since rejoining the sport as a fully fledged works outfit in 2016. “He’s a race-winner and he’s bringing us an experience that we don’t have in the team today,” he added. “He’s been working with a top team for a number of years so obviously he’s going to give us some understanding in terms of development of the car, set up of the car, which is useful learning for us. “On top of that it’s been a huge motivation boost for the whole team to have someone like Daniel coming - obviously because he’s Daniel, the driver and the person he is, but also that a race-winner from a team that is challenging for wins and potentially championships believes in our projects and joins our organisation at this stage.